Visit these links to get coupons to save even more at the grocery store…Coupons.com, Cellfire , SavingStar and Kellogg’s Savings! Buy 10 participating items and get $5 off instantly at checkout. Prices below reflect the price wyb 10 participating items. Final Price: Stack these two coupons and pay $1.21 ea out of pocket and receive $1.00 in your SavingStar Account. Kroger Ground Beef, 3Lb Roll – $1.99/Lb. 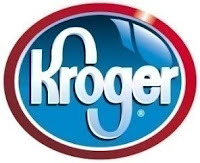 Kroger Value Chicken Drumsticks, Thighs or Whole Chickens – $0.79/Lb. Boneless Pork Loin Center Cut Chops – $2.49/Lb. Texas Zucchini or Yellow Squash – $1.00/Lb. Next postKellogg’s Coupons worth $5-$10 Dollars….Grab them Now!